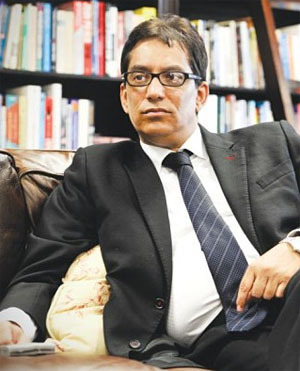 African Empowerment Equity Investments founder Dr. Iqbal Survé has released a statement saying he is willing to present himself before the commission of inquiry into the Public Investment Corporation if requested to do so. The statement was released on Monday afternoon. This followed a report from the Sunday Times at the weekend, which said Survé had used the R4.3bn the PIC had invested into AYO Technology Solutions - in which Survé has a large indirect stake - as his personal "piggy bank". The PIC is being probed through a commission of inquiry around its operations, and the circumstances surrounding investments that have raised questions about the state-owned asset manager's governance, including dealings with AYO. The Sunday Times claims that the PIC invested the R4.3bn in a 29% stake in the company (at R43 per share) when its real value stood at 15 cents per share. Survé said in the statement that he was willing to come before the commission of inquiry to clear his name and that of Sekunjalo. "I will avail myself if I am required to do so. "My only request to the Commission, should they invite me to present evidence, is that they ensure that I am given timeous notice, due to my international diary, sufficient time to prepare, and adequate time to set the record straight at the Commission. "Sekunjalo and its investee companies have nothing to hide," said Survé. Survé said the companies were being targeted due to being among the most successful black corporates, that they were paying the price for competing against established interests. "This can only vindicate Sekunjalo and clear the way for our investee companies, including AYO, to continue to do what it promised in its pre-listing statement, which is to create shareholder value, including for the PIC," Survé said. The Sunday Times cites emails, board meeting resolutions and voice recordings, which, it claims, point to attempts to transfer large portions of the R4.3bn from the PIC out of Ayo's account into other companies owned by Survé.